“Inside Out” – Feelings, Family, and Fun: A Christian Perspective | J.W. Wartick -"Always Have a Reason"
I recently got to see “Inside Out” in theaters and it was a huge treat. The plot was fairly predictable, but it was delightfully done and thought-provoking. Here, we will explore the film from a Christian worldview perspective. There will be SPOILERS in the following review. It is often quite difficult to talk about our feelings. “Inside Out” provides a springboard for having these discussions, whether with children or, frankly, with adults. Christianity is a faith of not just the mind but also the heart, and we need to be able to talk about how we feel and engage with our emotions in the context of faith. As a parent, I was pleased to see how little there was objectionable in this movie, as it is one I could see using with my son (who is now 10 1/2 months old) in the future to talk about emotions. There are some issues with gender in the film as Riley’s parents were fairly stereotyped in some ways. However, this stereotyping was offset in many ways by Riley herself, who was a highly complex character with different interests and motivations that went beyond such gender stereotypes. As Christians we can have conversations about how our culture so often shoehorns people into strict gender categories without acknowledging its own cultural biases. Another edifying aspect of the film is its focus on the importance of family. It does not undermine the value or struggles of those families that are non-“nuclear,” but it does affirm the ways that family can shape the lives of children. The formative impact of the parents in this film cannot be understated, and it showed not just in the “core memories” that Riley cherished, but also in her interests and concerns. As Christians, there are a number of takeaways from this, but perhaps the most important one would be the way that our faith lives can shape our children. I sure hope that Luke has a formative experience that lets his “core memories” include faith at the center of his emotional and rational life. Like Riley’s parents, I am not going to just stand back and watch but rather be sure to expose him to the faith and prayer and allow him to ask questions and learn from an early age. One possible concern with the film could be the notion that it seems like the emotions are that which rule Riley’s life and actions. Indeed, the emotions cause specific acts in her day, and as different events occur, the different emotions take the controls to drive Riley entirely. From a Christian perspective, we should interpret things generously (see Martin Luther on the 8th commandment), so the first aspect of a response to this would be to allow that the film had to make things fairly simplistic because, well, it is actually a kids movie, isn’t it? It would be tough to multiply complexity and discuss the importance of reason, logic, and abstract thought for action in a way children could easily understand. Second, too often in Christian circles I have seen the downplaying of the importance of emotions for our reasoning process. The importance of passional reasoning (having emotions as part of the overall logical process) should not be forgotten. For older children, this film could be a great jumping off point to have a conversation about the interplay between such abstract thought and the emotions, and how they might interlink to form a life of faith and reason. Third, related to the previous point, we sometimes need a corrective–particularly those of us who lean towards critical thinking–to remind ourselves of the importance of emotions. In a thoughtful, humorous way, Inside Out opens us to such conversations. 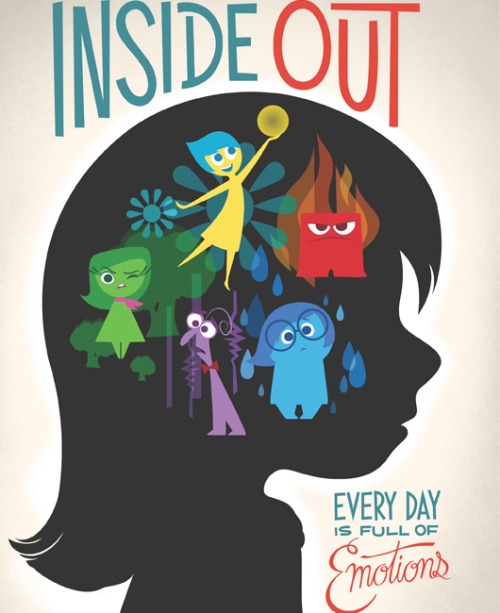 Inside Out is a delightful film with comedy, fun, and family all interwoven in a thought-provoking mix. I think it provides several ways for Christians to start conversations about a number of important topics, including reasoning, emotions, gender, and family. I recommend it. Inside Out– One of my favorite websites, Empires and Mangers, shares some thoughts from a Christian perspective on the film. Anthony Weber approaches it from a slightly different angle, and his post is well worth the time spent reading it. Be sure to follow his excellent blog as well. « Really Recommended Posts 7/31/15- Planned Parenthood, the next Earth, the Quran, and more! Saw it and really enjoyed it! I was just thankful that there was a positive portrayal of a mother and father on the screen. They actually loved each other. And the way that the father was shown was very realistic and thoughtful. He wasn’t some distant, dumb, emotionless zombie. In fact, there were several tender scenes of him interacting with his daughter in a genuine way and even hugging her. It also pressed the audience to consider that sadness is an important element of the human condition (causes empathy, for example). We even enjoyed the Pixar short “Lava”, which, though romanticized, further emphasized and showcased the beauty of heterosexuality.